The Office of the National Coordinator for Health Information Technology (ONC) and the Department of Veterans Affairs (VA), challenged designers across the United States to re-imagine the presentation of the medical record in order to create a better patient experience. 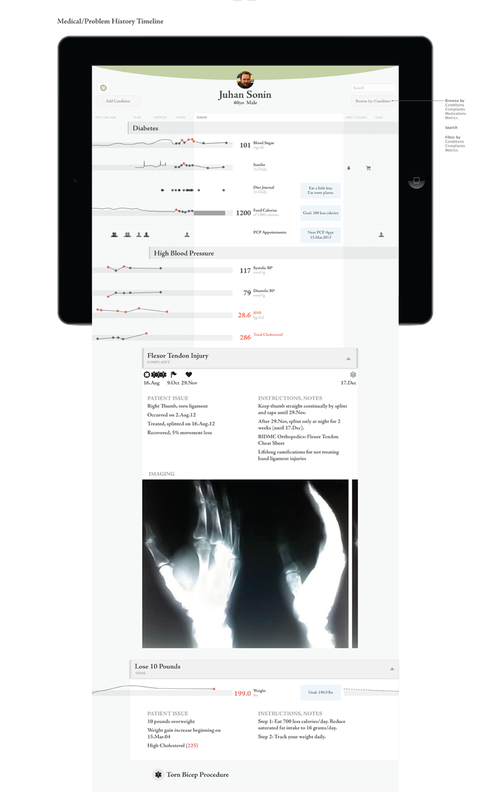 The objective of the Health Design Challenge was to create a usable, beautiful medical record enabling patients to more easily manage their health, and health professionals and caregivers to more effectively understand and use patients’ health information. On January 15, from the over 230 submissions, Involution Studios entry — a dynamic, system view of your health — was selected for the online showcase, featuring the most innovative designs that challenged the status quo. There’s no doubt that a well-designed medical record has the potential to provide many positive outcomes, including improved care coordination, prevention of medication errors, and quick, on demand access to critical health information in emergency situations. Involution has long been involved with the design of open source solutions for the healthcare industry. 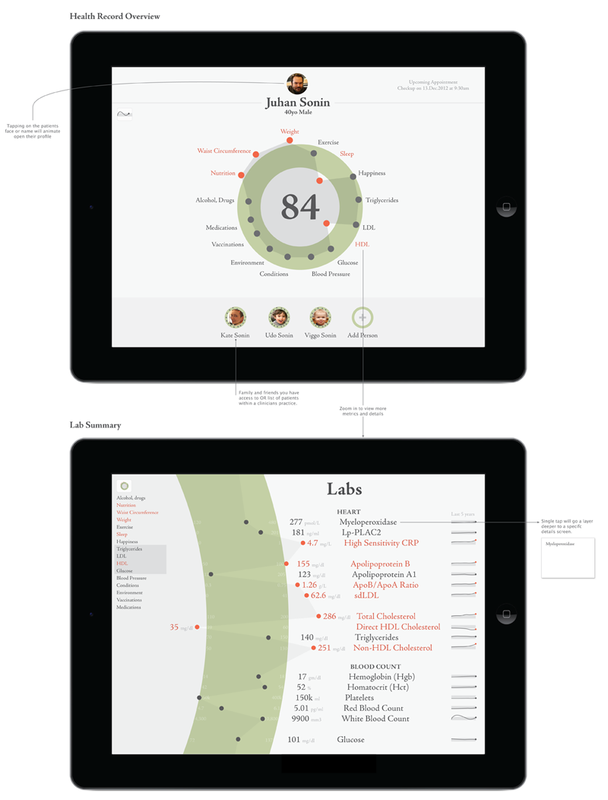 We’re sharing a sample of our hRecord designs here, including versions for iPad and iPhone. 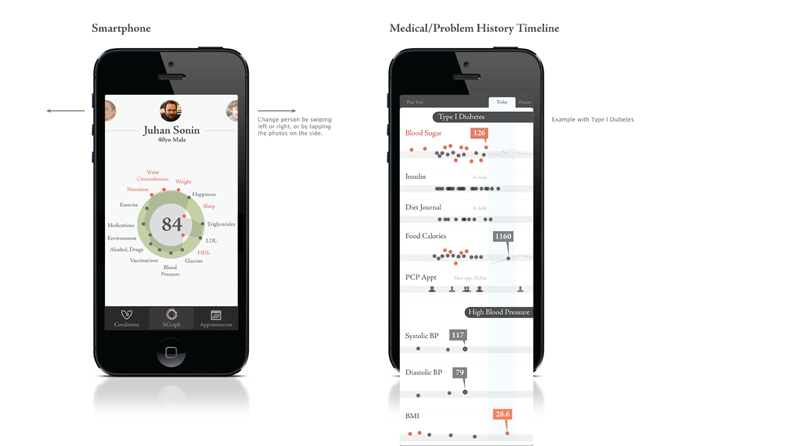 You can also view our complete Health Design Challenge submission. hGraph is a open source information visualization particularly well-suited for viewing complex data, which provides a complete overview of an individual’s health. This single picture method can have a profound effect on a person’s understanding of their total well-being, because it compiles multiple metrics into a unified graph that can be viewed at a glance.